Karnataka Chief Minister H D Kumaraswamy on Thursday said the government will soon set up Karnataka Innovation Authority to further fuel the growth of innovation in the state. 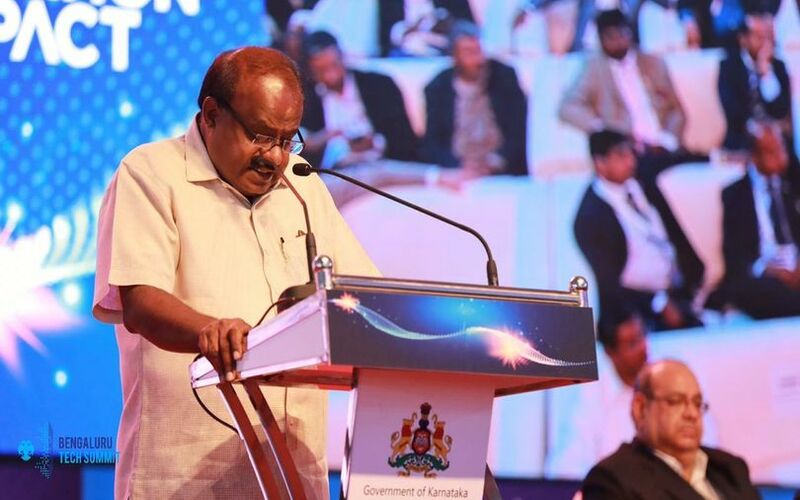 Delivering the inaugural speech at the 21st edition of Bengaluru Tech Summit 2018, the annual technology summit of the state government, he said the government is going ahead with the legislative framework for setting up of the authority. The government will also set up a Centre of Excellence for the design of tech products in Bengaluru, he added. He said the Tech Summit is a unique platform for deliberating on innovation and its impact on industry and society at large. "The 21st edition of Bengaluru Tech Summit is a celebration of unique eco-system of the state. Government, industry, academia and research and development institutions have partnered and created a unique eco-system here, which has given birth to several startups and innovative ideas," he said. Kumaraswamy also pointed out that 65% of the MNCs who have their global in-house centres are from the USA and 37% of the global innovation centres of MNCs are in Bengaluru. "This goes to prove that technology engagement in the State is the bedrock of the strong foundation for investments. Karnataka is indeed the first choice for technology investments, worldwide,” he said. Speaking at the event, IT & BT and Industries Minister K J George said Karnataka is the first choice for innovators and global industry leaders to converge and showcase viability of current and emerging technologies. Over 200 speakers, 200 startups and global leaders from 11 countries are participating at the three-day tech summit. The inaugural event also witnessed the announcement of 20 winners of the Human Code, a global hackathon held as part of the tech summit. The contest had the participation of 42,000 teams from 68 countries. French Ambassador to India Alexandre Ziegler announced the launch of French Tech Community in the city for fueling the growth of startups. "40 companies are represented at the cluster. These companies will help in the digital innovation of the digital transformation of our societies. We want Bengaluru to be the centre of French startup activities which will further flourish in other cities," he said.